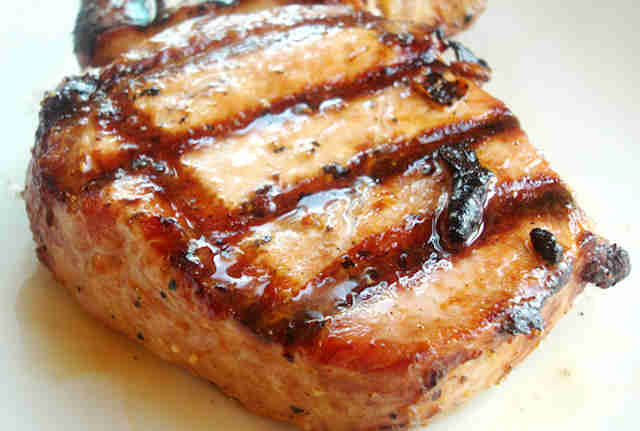 The trouble with pork chops is too often they're half-heartedly tossed on a grill with very little seasoning, and end up overdone. Which is probably why no one can eat a classic American pork chop without a bucket of applesauce. Don't let this happen to you! 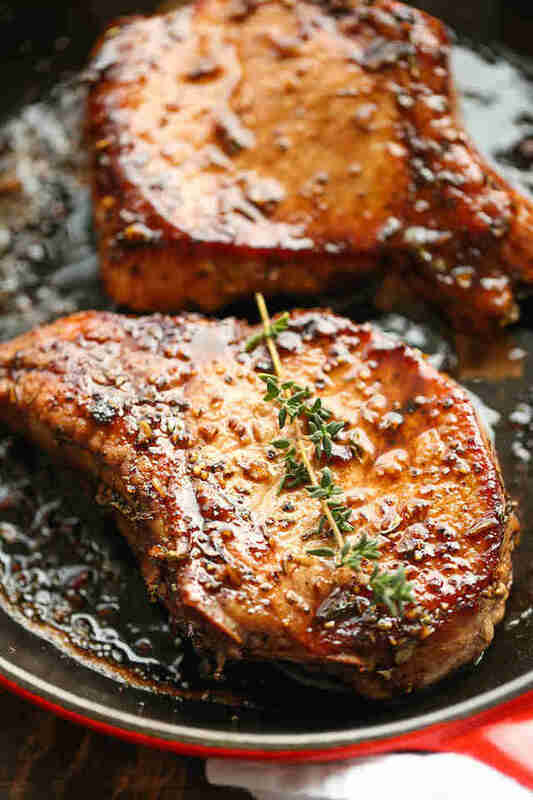 These pork chop recipes -- some paired with summer's ripest fruits and freshest herbs -- are perfect for the season, but are definitely not limited to it, and use a variety of methods to make sure you never eat another dry chop again. Maple and bourbon -- was there ever a better pairing? 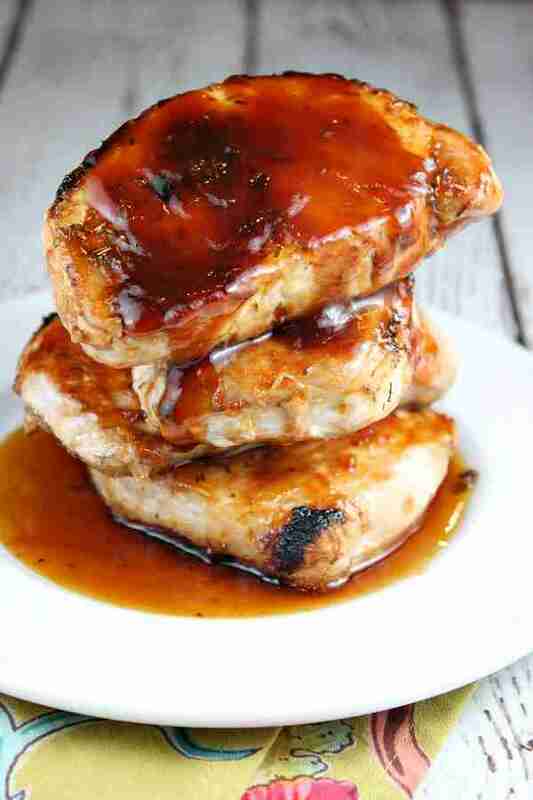 Make the match even more appealing as a glaze over pork chops for your next summer BBQ. Try it out here. 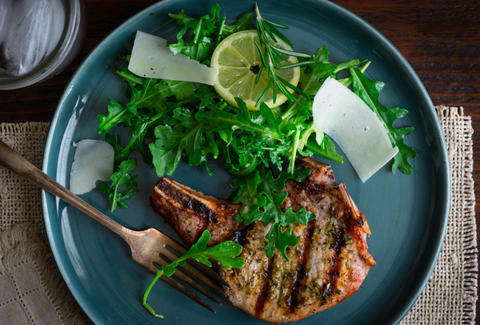 A buttermilk marinade makes these grilled pork chops unbelievably tender. Get the recipe here. If pork is great on a grill, and pineapple is great on a grill, it only makes sense to combine the two, right? 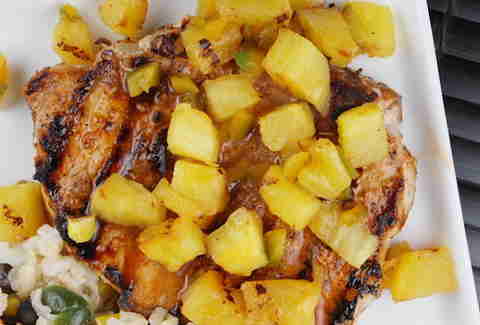 Pineapple salsa perfectly complements this charred and chili-rubbed pork chop. Recipe here! Obviously we're partial to grilling our chops, but that's certainly not the only way to prepare them. If you do go the oven route, it's best to smother your meat in a sea of scalloped potatoes and cheese. Check out the recipe here. 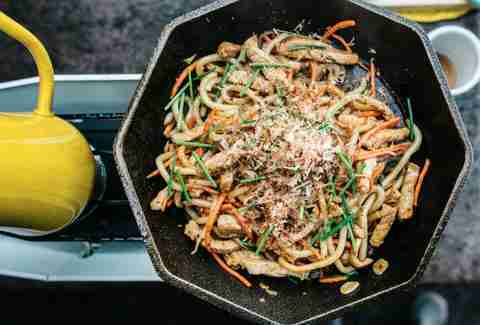 If you're bored of pork chops on the grill, take them camping this summer and make an open-air Japanese noodle dish. Stephanie, the recipe's author, suggests bringing packets of soy sauce along so you don't have to lug around a whole bottle. Try it here. Double the amount of Jack Daniel's called for here -- half for the pork chop, half for the chef! Get the recipe here! This recipe takes us back to basics: the chops are marinated in a trio of olive oil, soy sauce, and steak seasoning before hitting the grill for a nice sear. Find the recipe here! Pesto is an excellent summer condiment, whether it's on a pasta dish or used as a marinade. For the latter, we love this orange parsley variation. The fresh orange zest gives it just enough of that sweetness that goes so well with pork. See the recipe here. This whole recipe only takes 20 minutes from start to finish. 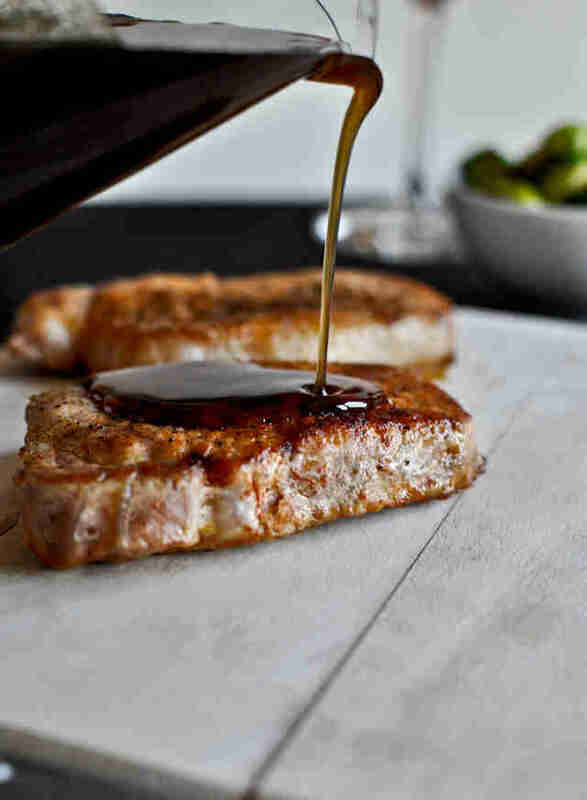 Honey balances the acidity of the balsamic vinegar in this sweet-and sour-glaze that's sure to make its way into your repertoire. Find the recipe here. A sultry sauce of lemon, thyme, butter, and cream makes this the ultimate summer comfort dish. See the recipe here. 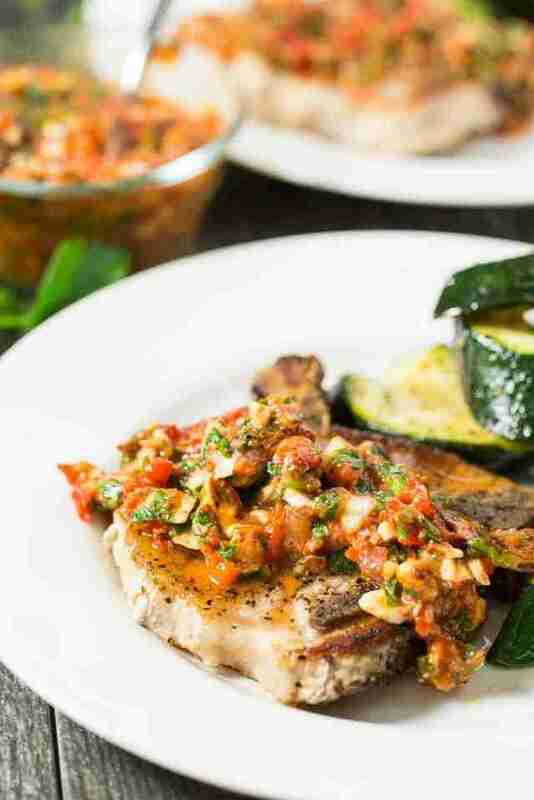 Roasted almonds, roasted red peppers, tomatoes, and parsley are a perfect summer combination for this sauce over pork chops. Serve with your favorite seasonal veggies. Recipe here. If for some reason you're not feeling the bourbon in this recipe, it can easily be replaced with apple cider, as both mix well with molasses and mustard. Oh, and there's bacon on top for good measure. Get the recipe here. Take a note from the Tuscan countryside with this variation. 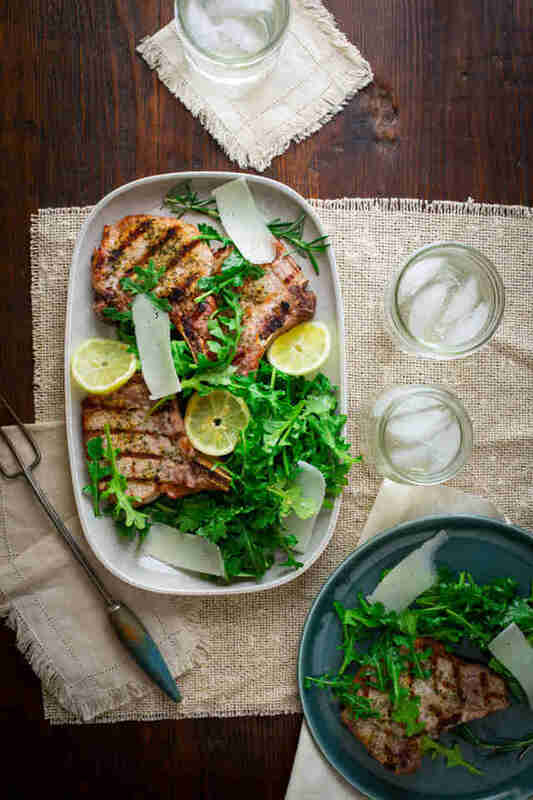 Warm, grilled pork chops are served over a bed of arugula with hints of lemon, olive oil, and rosemary. Finish it all off with pecorino shavings! Bookmark the recipe here. Sometimes all pork chops need is a little lemon and garlic. Check out this crazy-simple video and recipe here. Here's a classic barbecue recipe you'll make all summer. Double or triple the ingredients for an extra-saucy variation. Check out the recipe here. Apricot jam takes a classic pairing of pork chops with apples and onions to a new level for a sweet-and-saucy crowd-pleaser. Serve this at a late-summer dinner party, when apples are just beginning to show face. Recipe here.